ASLA 2018 Professional General Design Honor Award. Chicago Riverwalk / State Street to Franklin Street. Sasaki and Ross Barney Architects. As our climate changes, our communities are put at greater and greater risk. Flooding has increased. Wildfires have increased. Sea levels have increased. People, families, and communities are seeing the effects and the problem is only getting worse. From neighborhood parks, to streetscapes, to public spaces of all kinds–landscape architects are on the front lines, building a future that incorporates the built and natural systems to create spaces that are healthy, safe, sustainable, and resilient. In our communities – With climate change increasing the severity of floods, storms, and extreme weather events, landscape architects are helping communities rebuild and design communities with an eye toward sustainability and resilience. In the field – Landscape architects believe in the values of excellence, integrity, diversity, leadership, and stewardship in all facets of the profession. In the classroom –The expertise of landscape architects to integrate built and natural systems into a sustainable future is increasingly important. ASLA is committed to bringing students of all ages, from all backgrounds, into landscape architecture. 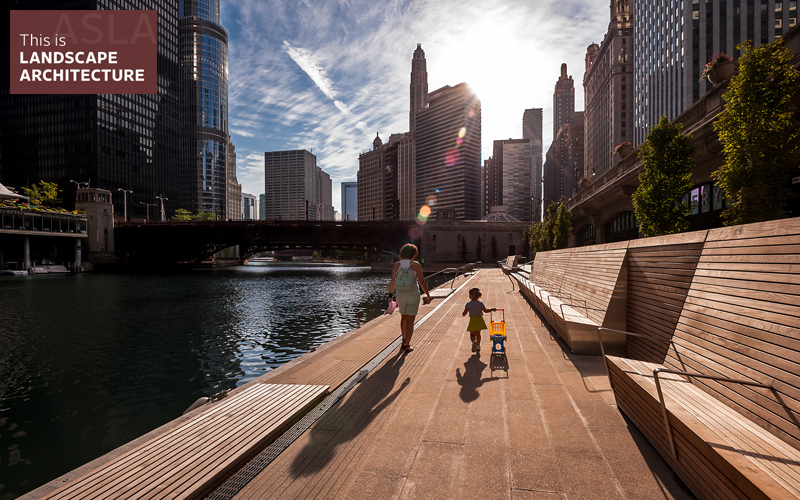 In the halls of government – Landscape architects don't only design for our future, they advocate for policies to make that future possible at the local, state, and federal levels. All month long, ASLA will showcase the impact landscape architects have in the United States and around the world.